Surgical steel and garnet set of earrings and pendant.Red garnet represents love. It is believed that garnet brings warmth, understanding and trust to a relationship. 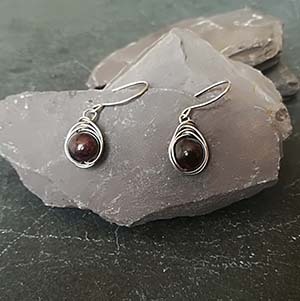 Garnet is known as “stone of health”.Garnet is also known to inspire creativity as well as promoting connections with spiritual plains and links the base chakra and the crown chakra together.